2 miles from Fort Lauderdale International Airport (FLL), downtown and the beach! 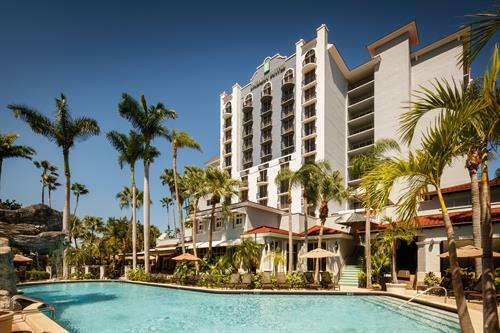 Welcome to the Embassy Suites by Hilton Fort Lauderdale - 17th Street hotel on the 17th Street Causeway just four blocks from the Fort Lauderdale cruise port and two miles from the beautiful beaches of Fort Lauderdale, Florida. 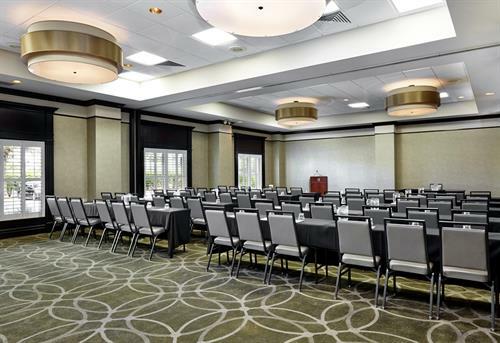 Our all-suite hotel is a proud member of the Hilton Hotels family and with each night's stay at our hotel you're sure to enjoy our famous complimentary cooked-to-order Breakfast and Manager's Reception. There are so many ''things to do'' in Fort Lauderdale that we've created Landing Pages and links to assist you with your planning. 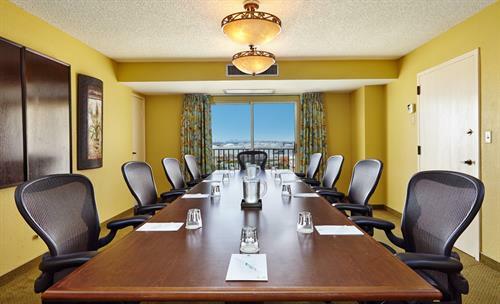 If you are attending a convention at the Broward County Convention Center, which is also right down the Causeway from our hotel, why not come to Fort Lauderdale a couple of days early or stay for a few days afterwards, with our attention to service and great amenities you'll to be glad you did! 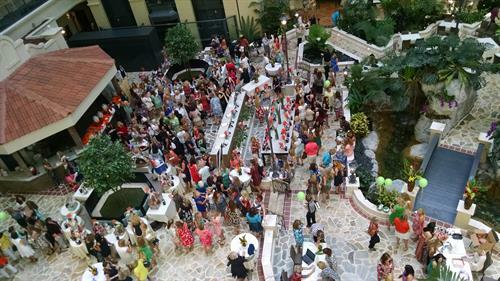 TERRA, an indoor function room that over looks our pool and pool decks and connects to AQUA. 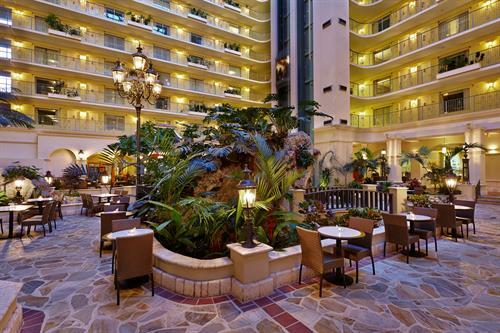 Our sun-filled 12-Story Atrium where our COMPLIMENTARY madse-to-order breakfast is served every morning. 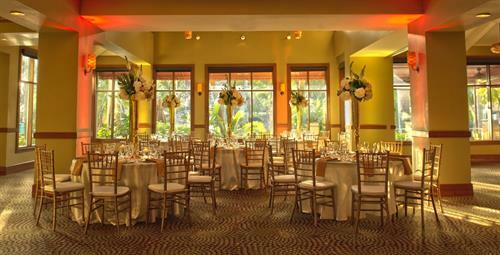 Our Atrium offers plenty of space for a social functions, cocktail receptions and beautiuful weddins. 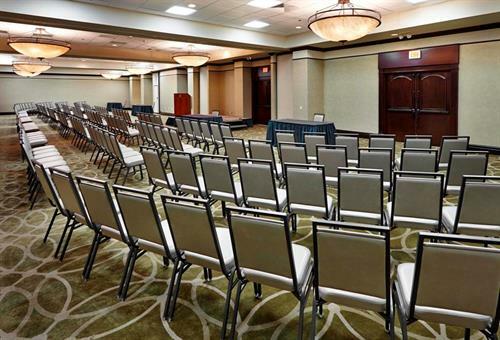 The Causeway Ballroom ~ showing one section of three, set "Classroom Style"
Gulfstream Ballroom ~ One section set "U-Shape". 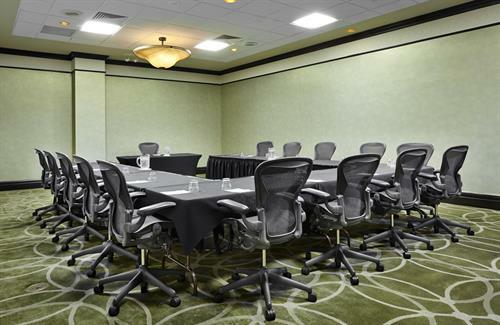 Confernce Room ~ A Boardroom Table that seats up to 14, half bath and Living Room entrance into the conference room itself.